A fine collection of carefully selected treats and non-alcoholic beverages great for any recipient. This luxurious gift hamper is filled with the perfect comfort foods for the colder months of the year. 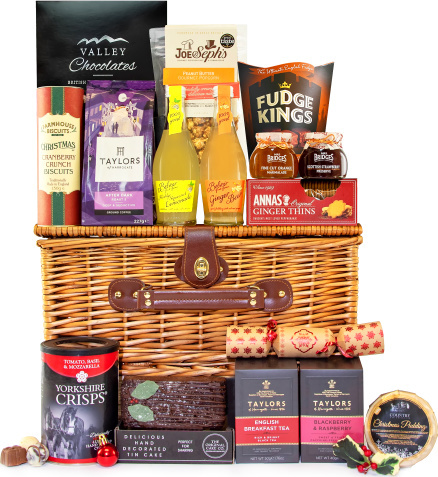 All presented in an elegant wicker hamper, send this hamper for Christmas and share some festive cheer with your friends and loved ones.